Sony Malaysia has finally unveiled the price of the Sony Xperia C4, one of the latest Sony Xperia devices that was launched in Malaysia just two weeks ago. Priced at RM1,299, the device is available for preorder at Sony Malaysia’s online store and comes with freebies worth a total of RM112. 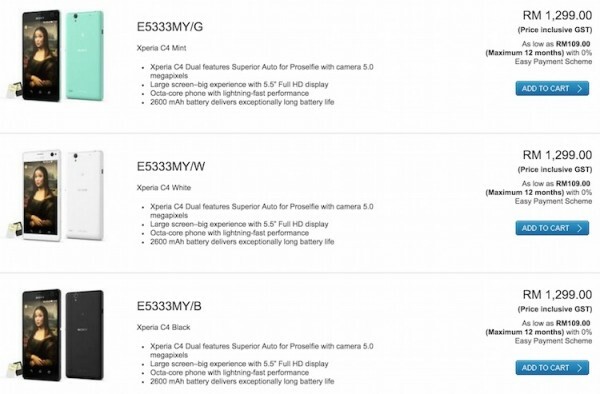 Available in black, white or green, the Xperia C4 offered in Malaysia is a dual-SIM variant. The preorder will start tomorrow, 26 June 2015, and will run until 2 July 2015. 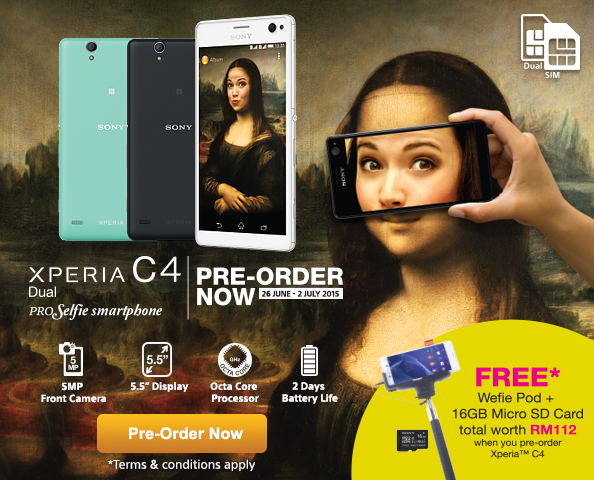 For RM1,299 inclusive of 6% GST, the Xperia C4 comes with a free “Wefie pod”, as well as a free 16GB microSD card, both are worth RM112. 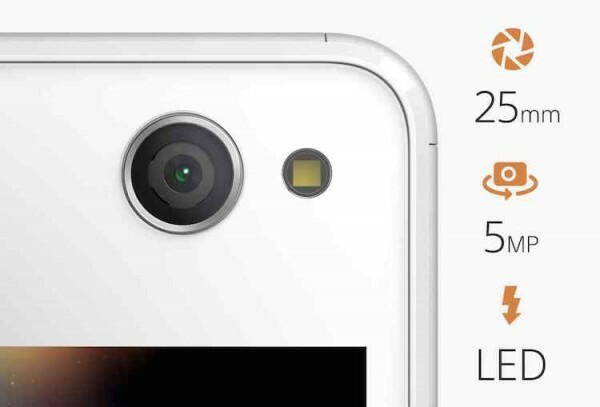 The Sony Xperia C4 is the latest PRO selfie smartphone from the Japanese company. It features a 5MP wide-angle front camera with LED flash to help you take the best selfie even in dark environment. On top of that, the front camera is also equipped with a Superior auto mode with SteadyShot that reduces camera shakes. As for the rear camera, the Xperia C4 features a 13MP camera that packs all the usual Sony Xperia camera goodies on board like a suite of creative camera apps, augmented reality, and more. As for the rest of the device, it still has the same display size of 5.5”, but packs a Full HD resolution, an upgrade from 720p 5.5” display on the Xperia C3. Beneath that, the device is powered by a 1.7GHz octa-core processor with 2GB of RAM and 16GB of expandable storage on board (up to 128GB via microSD). Other specs include 2600mAh battery, LTE connectivity and runs on Android 5.0 out of the box. The preorder should start tomorrow, but it looks like you can add it into the cart at the time of writing, so if you wish to get it, check out Sony Malaysia’s online store to order it now.